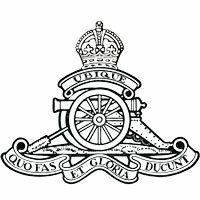 The Vancouver Gunners website www.vancouvergunners.ca is maintained and organized by Leon Jensen, a former member of the 15th Field Artillery Regiment RCA from 1970 until 2000 with the assistance of volunteers. The website is still in its formative stages. There is a massive amount of information to be researched and uploaded in order to reach our goal of creating a living history of the 15th Field Artillery Regiment RCA and its predecessors. That history includes the story of the men and women that served the Regiment, the guns they worked with and the places where they served. There are some dedicated individuals that have provided wonderful service over the years, preserving our history and providing much of the material that has gone into this website. I thank them for their dedication and service and look forward to their continued cooperation. Ross Keller, our Honorary Battery Commander of Yorke Island, has been instrumental in rekindling Regimental interest in the Yorke Island Fort. His knowledge of the Island and its history is amazing and we look forward to future development of the site as part of British Columbia's Parks service. There have also been countless members of the Regimental Museum that have worked in the museum and I would be remiss in not thanking theme for their efforts over the years. This includes a special thank you for the tireless efforts of Victor Stevenson over many, many years. Please send me any additional names that should be included from the past that I may have accidentally overlooked. There are actually some individuals working behind the scenes correcting many of my errors. If not for their diligent work they website would be overwhelmed with misspellings, omissions and errant commas. Mind you, there is a lot of material on line and they came aboard later in the game, therefore there is a lot of catching up to do! Thanks guys, I appreciate whatever time you can spare! Do you have some free time available? Care to get involved in the history of the 15th Field Artillery Regiment RCA? I have some positions available that you might be interested in! I must warn you, the pay is terrible! You can devote as little time or as much time as you would like! You might have noticed in the Nominal Roll section of the website that the medals worn in the individual's photograph may not match what is recorded in their write up. I need a dedicated team to view each of the photos and itemize the discrepancies so that I can update the bios. The Nominal Roll currently sits at 3250 names of personnel that have served with 15th Field Artillery Regiment RCA, 15th Coast Regiment RCA, 15th (Vancouver) Coast Regiment RCA, 15th Brigade CFA, 43rd Medium Anti-Aircraft Regiment RCA, 43rd Heavy Anti-Aircraft Regiment RCA, 102nd Coast Regiment RCA, 31 Field Battery CEF, 68 Field Battery NREF, 85 Heavy Battery CASF, etc, etc. I believe that I have barely scratched the surface in finding all the names of the and that the list will probably grow to 10,000 names. Here's your chance to study the history of some of those that have served in the past. There are nominal rolls on line that cover the North Russia Expeditionary Force, databases of our World War One soldiers and other information sources that I have yet to discover. the goal is to find all 10,000 and their photographs. Would you like to join the team? Only needs an hour of your time or maybe three or four hours - your choice!